Our mission is to challenge individuals & organizations to become more than they’ve ever envisioned themselves to be. Envision EDGE is about more than simple goal setting. We want your organization to experience success to the fullest. We want to challenge individuals to seek a higher potential. For all clients, we provide empowerment, new experiences and catalysts for change and accountability that you won’t find anywhere else. We illuminate a path for improvement and then provide the tools and clear objectives so that you can set out and succeed. The greatest asset for your organization or personal life is your accountability—the understanding that your choices carry consequences for yourself and others. A powerful tool and the core to the success of our programs, Envision EDGE utilizes accountability to encourage better choices, hard work and discipline so that your team or yourself can achieve any goal. Envision EDGE employs cognitive and neuroscience-based research to develop our programs. Our programs are built upon this cutting-edge research to take full advantage of the brain’s impressive capabilities to repair and strengthen itself. 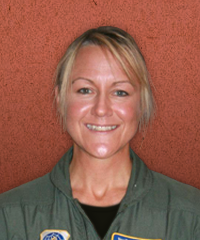 After a nearly decade-long and highly decorated military career as an Aircraft Commander in the United States Air Force and sought-after consultant in Washington D.C., Kelly Wight founded Envision EDGE in 2006. Kelly uses her extensive understanding of discipline, leadership and accountability to develop cutting-edge programs, seminars and assignments that have proven paramount in assisting Fortune 500 companies, NCAA Division One sports teams, organizations and individuals to maximize their potential. Going even further, Kelly has teamed with medical experts to ensure the Envision EDGE programs are based on genuine neuroscience and research. 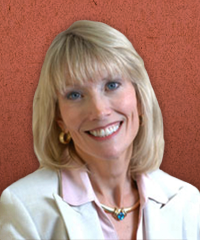 Pamela Cogdal, Ph.D. brings over 20 years of experience as a coach, consultant, therapist and university professor to the Envision team. 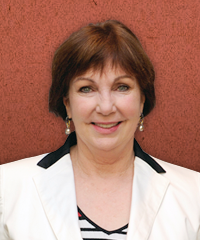 Pam is a licensed psychologist and holds certifications in working with the MBTI and the DiSC and is a certified crisis intervention facilitator. In addition, Dr. Cogdal serves as a consultant for community agencies and is a human resource trainer for a number of employee assistance programs. Pam has published and presented nationally in the areas of career and work-life balance, resilience, leadership, testing and couples/relationship issues. Penny Aviotti is certified in business etiquette and international protocol by The Protocol School of Washington, corporate community relations by Boston College, and accredited in public relations by the Public Relations Society of America. She writes an advice column called "Ms. Corporate Manners" and has carried the Olympic torch. Armed with more than three decades of corporate and nonprofit experience, she brings in-depth knowledge and skill to the etiquette and protocol industry.